To those who love sports, the venues where the games are played are akin to temples. 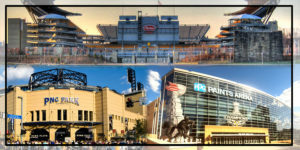 Pittsburgh is home to some of the best facilities for cheering on a hockey team, watching a football game, or taking in a baseball game. But even if you have been to The PPG Paints Arena for every puck that has ever been dropped, seen every kickoff since Heinz Field was built, and have been to PNC Park to boo every opposing lead-off batter, you don’t really know these places unless you’ve taken their official tours. Each of these magnificent sites offers behind-the-scene tours that will acquaint you more intimately with that facility and give you a greater appreciation of what extraordinary sporting venues we are fortunate to have in this city. The Consol Energy Center opened in August 2010 and was renamed PPG Paints Arena in October of 2016. 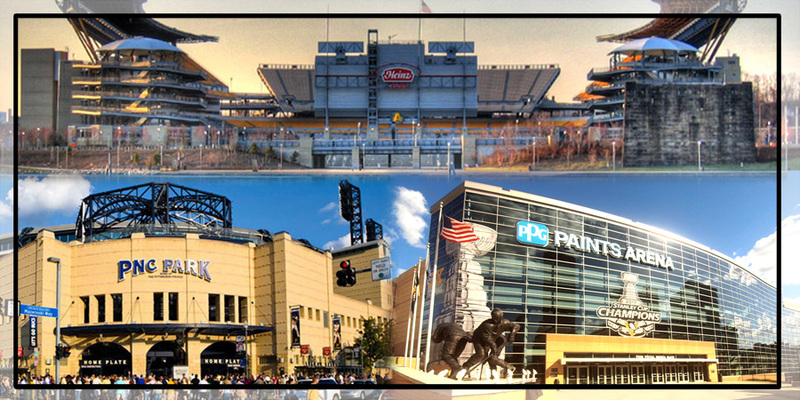 Although it is known as the home of the The Pittsburgh Penguins, NHL franchise, PPG Paints Arena plays host to numerous entertainment events. Tour dates are scheduled throughout the year on specific dates that are usually released a month or so ahead of time. Tours provide guests with an exclusive look at all the seating levels and visit the First Niagara, Captain Morgan, and Lexus Clubs as well as a Canadian Club Party Suite, select locker rooms (the Penguin locker room is not included) and Suite 66, which houses Mario Lemieux’s extensive trophy collection. Also highlighted are the innovative elements of the building that contributed to this structure becoming the first NHL arena to receive LEED Gold Certification. Tours are approximately 90 minutes and as it is a walking tour, guests should wear comfortable shoes. The tour is also ADA accessible and those wishing to reserve a complimentary wheelchair should call ahead. Tours of Heinz Field are given from April 1 through October 31, but check the calendar first because tours are not offered during stadium events. Walk-up tours are available for groups of less than 10 people, while group tours are designed for 10 or more and are scheduled between 9 a.m. and 2 p.m. on the half hour. Group tours should be scheduled at least three weeks in advance. In addition, Saturday group tours are offered once a month, April through July only, between 10 a.m. and 1 p.m., with Saturday walk-up tours only being offered at 10 a.m. The tour is 90 minutes in length and takes you behind the “house that ketchup built.” Highlights include the FedEx Great Hall, Club, Luxury seats, Press Box, the Field, and South Plaza. Since it is a walking tour, comfortable shoes are recommended. The tour is ADA accessible as well. Pittsburgh’s “field of dreams,” PNC Park lets you get up close and personal with major league baseball’s most magnificent park. Highlights of the tour include the Pirates Clubhouse (on non-game days only), the Pirates Dugout and Warning Track, Batting Cages, Press Box, and the Tour Theatre and Museum. The tours are approximately 90 minutes, but the club advises allowing 2 hours. Also a walking tour, it covers approximately 1.5 miles so appropriate shoes are suggested. The tours are wheelchair and stroller accessible. Wheelchairs are available for reservation and should be reserved in advance. Tours run from April through September and are given Monday through Friday and on select Saturdays on game days and non-game days. Tours are not given on the day of afternoon Pirate games, holidays, and during special events, so check the schedule. Game day tours are offered at 10 a.m. and 12 p.m. Saturday tours commence at 10 a.m., 11 a.m., and 12 p.m. Non-game day tours are scheduled for 10 a.m. and 12 p.m. during April, May and September. During June, July, and August, tours are offered at 10 a.m., 12 p.m., and 2 p.m.